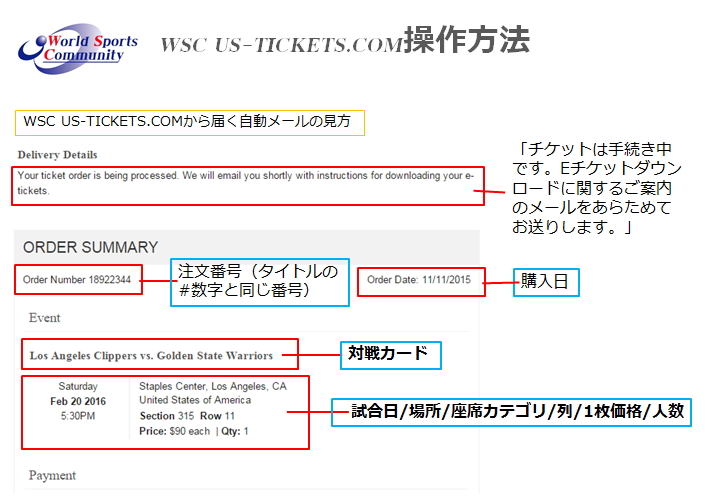 I purchased the below ticket online. Please let me know when the ticket can be available. 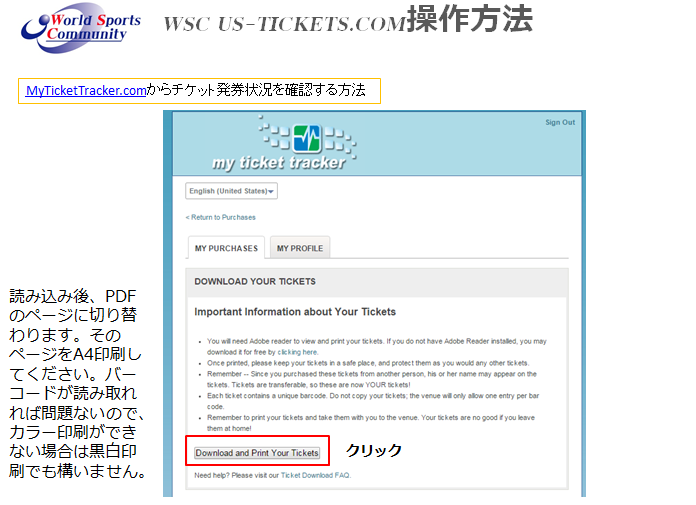 We are attempting to follow up regarding your order for 対戦カード. 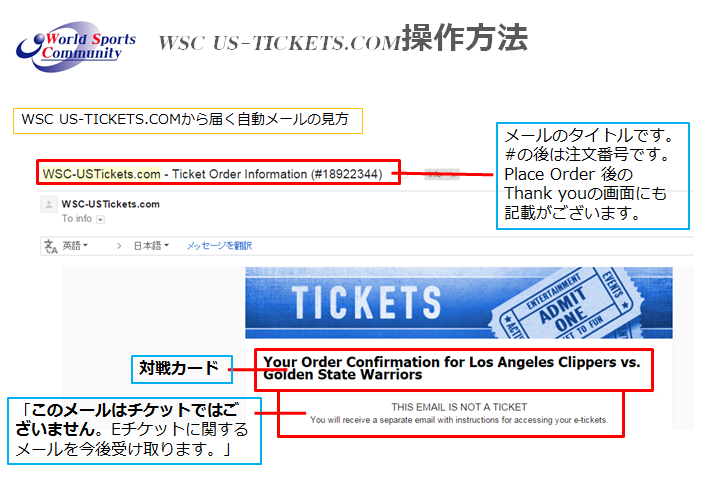 Unfortunately, your order #注文番号 could not be fulfilled as originally intended, due to the fact that your credit card was not successfully processed. There are many possible reasons for this, including (but not limited to) balance limits or fraud protection constraints imposed by your credit card’s issuer. You may want to contact the issuer of the card immediately (their customer service number is typically located on the back of the card) for assistance in determining and resolving the exact issue. 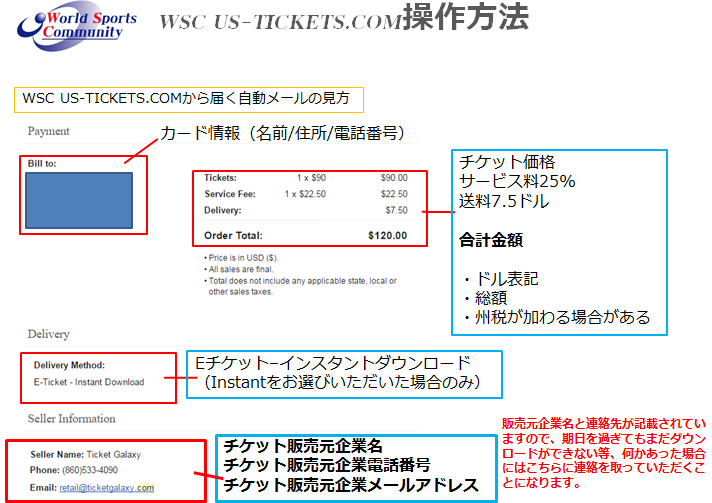 Then, as we at WSC-USTickets.com would like to refill your order for you as quickly as possible, please contact us by phone at (866)459-9233 so that we can find other tickets to meet your needs. 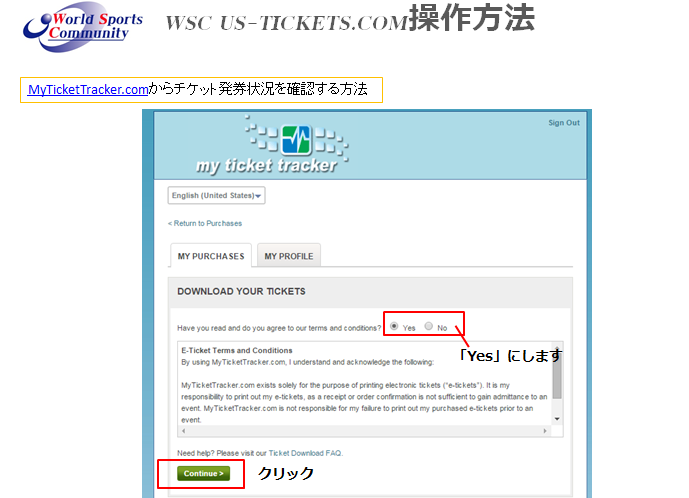 You may also wish to search for alternative tickets yourself at http://WSC-USTickets.com. We regret any inconvenience this has caused you, and we look forward to assisting you in any way possible. 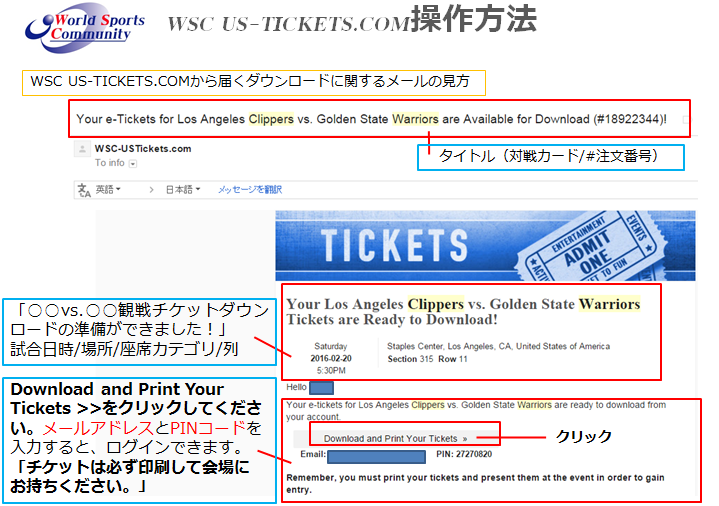 I purchased the ticket online and receive the email below, which I could not make payment by my credit card properly. Is this order vailed or not? I received the email, which I could not make payment by my credit card properly. 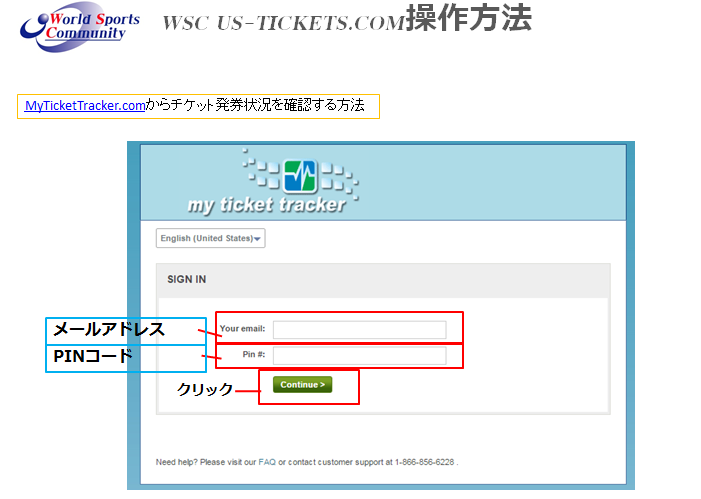 Is it correct that I can cancel the ticket if I have to reorder an alternative ticket? 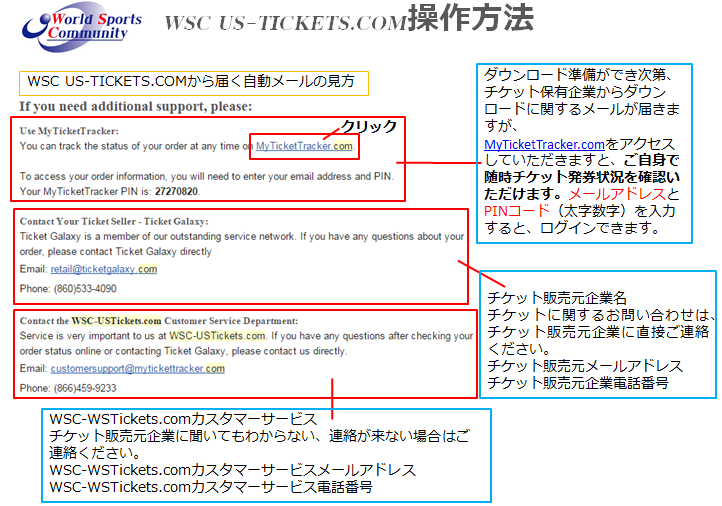 Thank you for your ticket purchase. 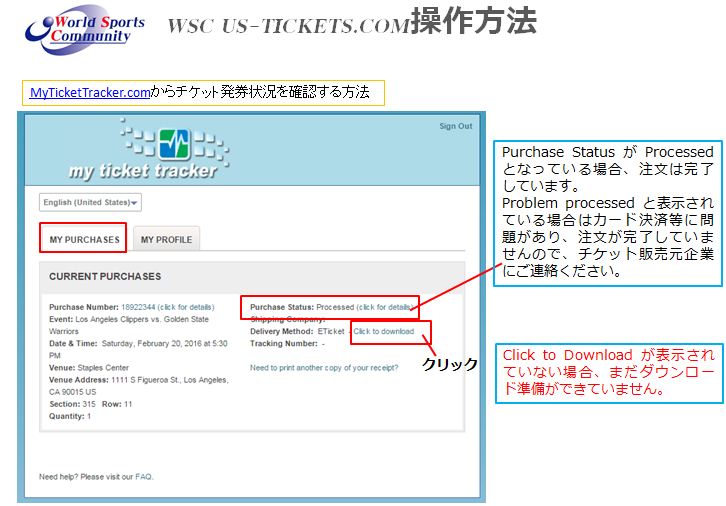 We are チケット販売先企業名, the fulfilling service for your order, and we are processing your tickets for delivery. In some cases, our billing department requires us to confirm the credit card billing address prior to delivery. The address entered on your order differs from what the bank has on file. 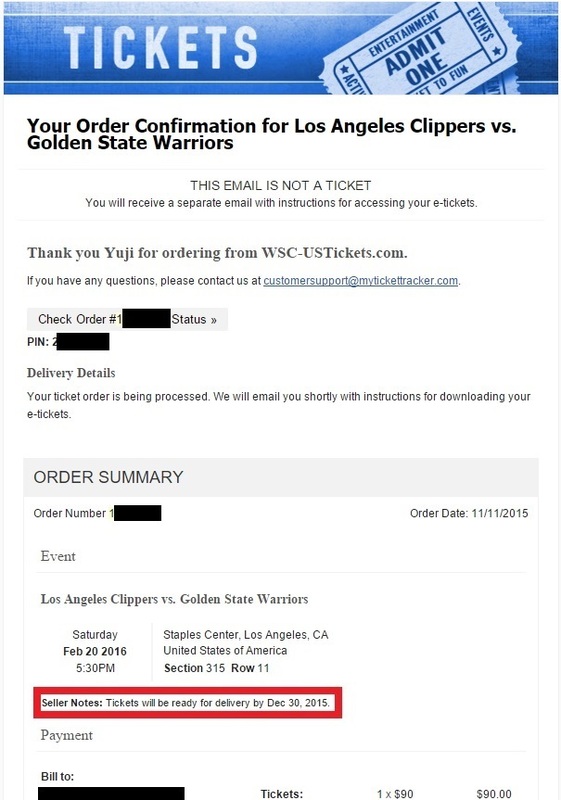 Please be advised that even though the charge has already been processed and your order is paid, we still need to verify the correct information before delivering your tickets. Your order is ready to be processed!! The credit card you on your order has an international address and we are unable to verify with your credit card company. Feel free to cover the entire card number EXCEPT the last four digits. We must hear back from you today to process your order, and guarantee your tickets to be valid at the event.